IATI MNC Forum - Vision and Mission - click here for the presentation. For the Forum's one pager click here. 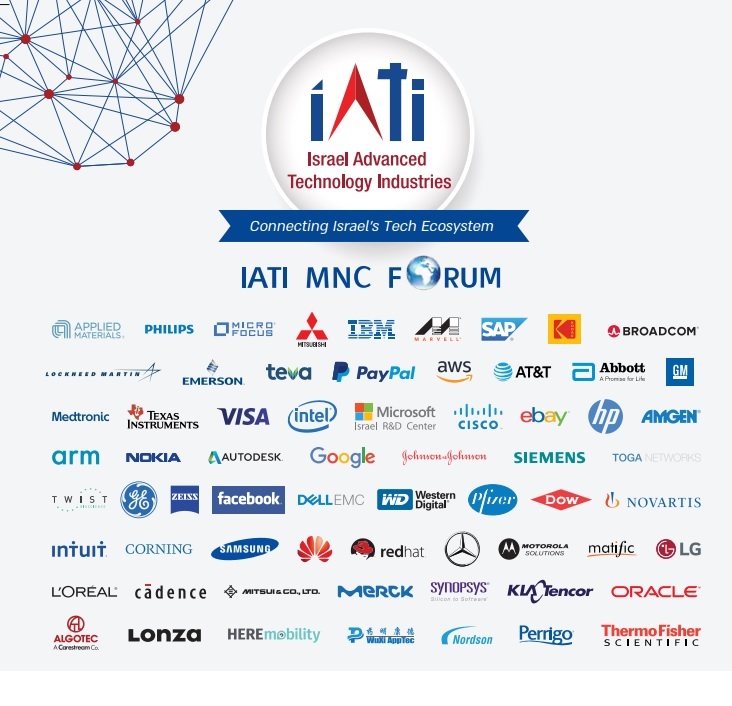 The IATI MNC Forum brings together the leaders of the leading Multinational R&D centers in Israel to promote and advance common interests of these centers in Israel. Despite obvious competition between some of the MNCs, there are many aspects in which the MNCs share common interests and goals. Read here about the advantages of MNCs in Israel. The IATI MNC Forum is the leading Forum, where the MNCs cooperate and collaborate to promote their joint objectives. The IATI MNC Forum is run by IATI and led by a Steering Team that is headed by Yossi Matias of Google and Raffi Margaliot of Micro Focus. For a presentation about the MNC Forum activity please click here. The Forum also initiated and operates the annual IATI MNC Weekathon events. For info about IATI's MNC Weekathon click here. The Forum operates via workgroups. Each Work Group convenes approximately every two months. The Forum meets bi-monthly for an update on recent progress of the work group activities, to hear guest speakers in areas that are of interest to the forum, as well as for networking and collaboration purposes. This workgroup, headed by Shahar Bar-Or of Western Digital, focuses on growing the engineering and technical capacity of hi-tech in Israel by taking actions that will increase the number and quality of students graduating from high-school and universities with a diploma in Engineering, Computing, Science & Math. Click for the Group's one pager. The Israeli government is aware that the hi-tech industry is a critical part of Israel’s success. Thus, this workgroup, Headed by Avner Goren (Texas Instruments), reviews existing government programs and how to use them effectively (ex. employment grants for headcount growth). The workgroup also seeks opportunities to improve government processes and policies that will encourage additional investments of global companies in Israel. HR Managers, headed by Rakefet Shapira-Katz of Phillips, collaborate to address the high tech industry challenges as well as the unique issues of Israeli sites of Multi National Companies. Headed by Gil Golan of General Motors, this workgroup is focused on expanding various aspects of MNC collaboration with academic institutions, including how to enable and simplify IP transfer and sharing, how to efficiently utilize academic expertise, exposing MNCs to academic research and vice versa, organizing joint events, etc. The objective of this workgroup, headed by Einav Aharoni-Yonas (Kodak), is to handle all communication aspects of the forum including press presence, get relevant information to members, track changes in the industry, and provide facts about Israel and the hi-tech ecosystem, including creating a presentation for the use of the members.